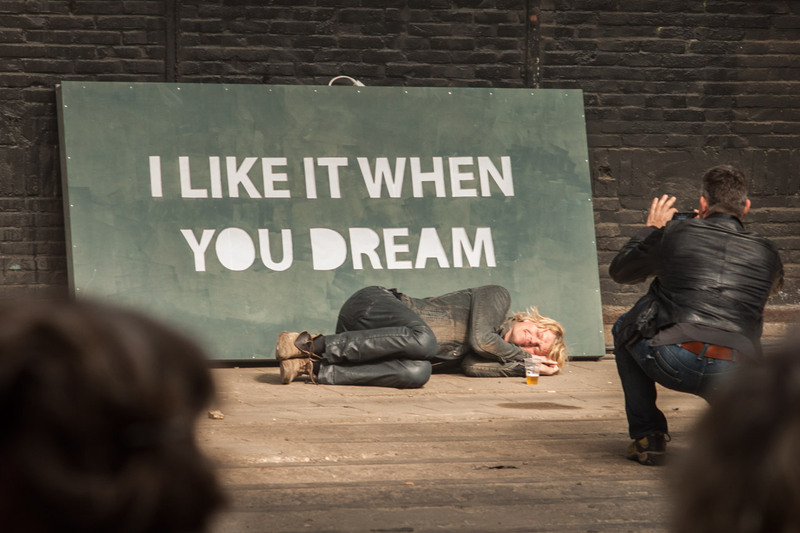 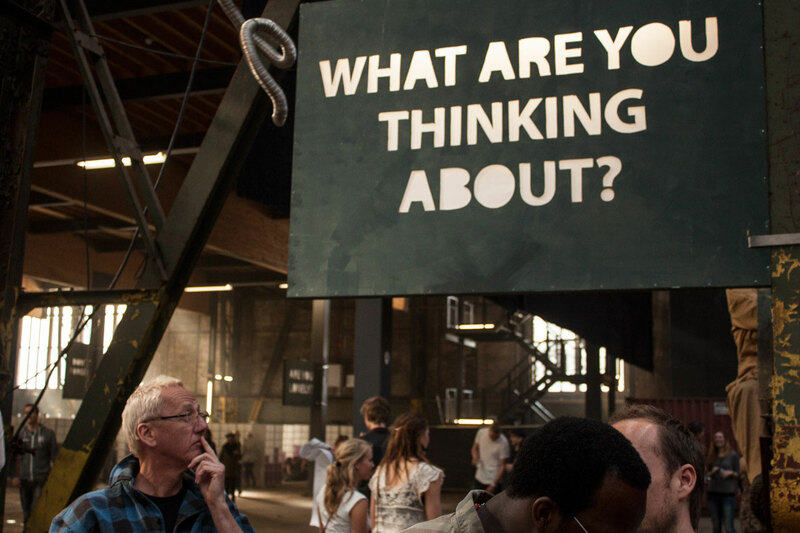 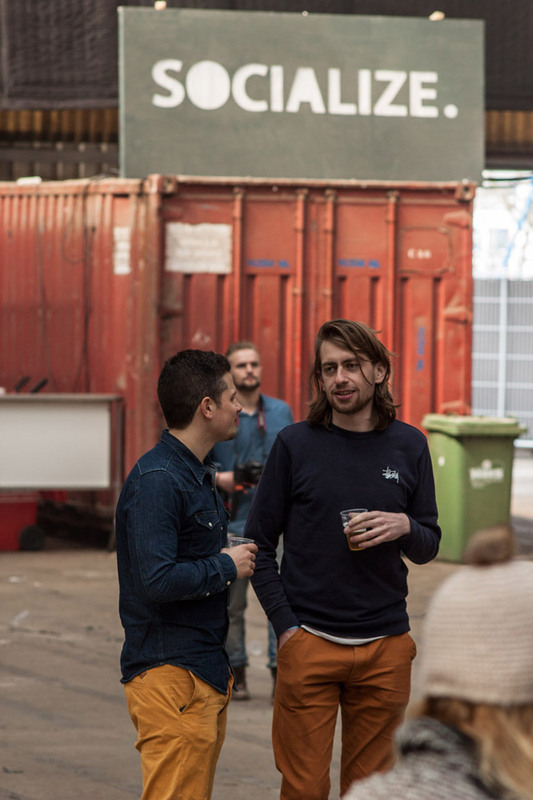 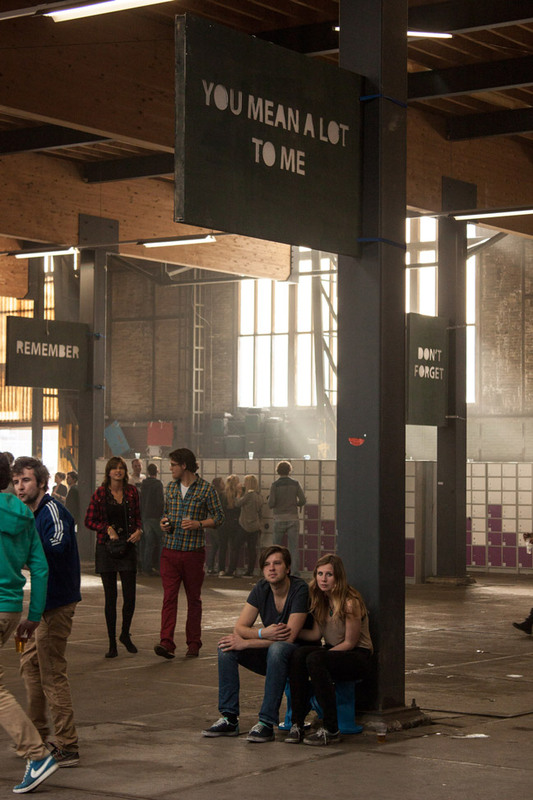 The “HENK in de Fabriek” large music festival with thousands of attendees in Spring of 2013 took place in one of the old factory buildings at NDSM-werf. 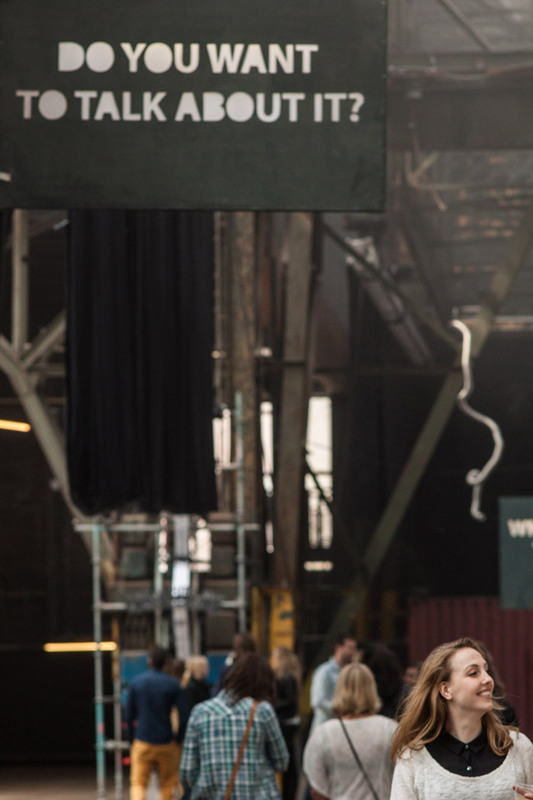 Themed “Fabriek”, it portrayed a normal everyday workday at the factory, including matching uniforms for the festival crew. 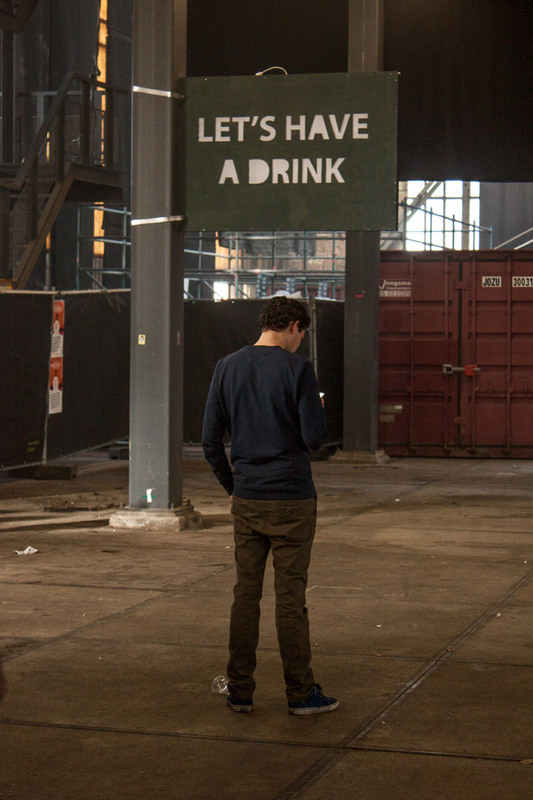 Similarly to any other factory, there are communication signs. 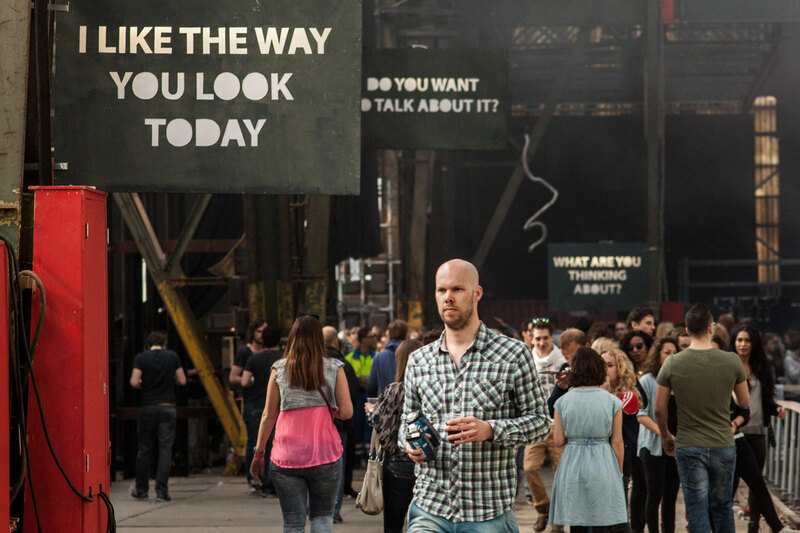 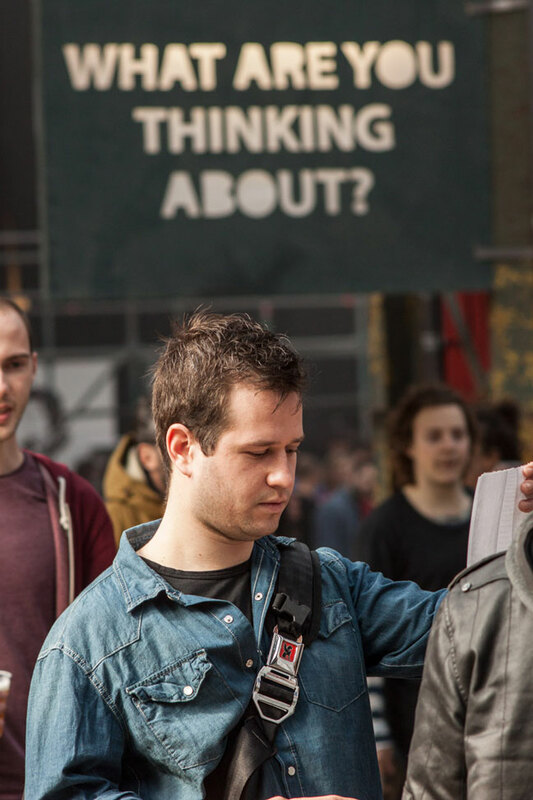 The “Signs” environment was crafted in order to create personal contact with visitors by using a third party, ‘Someone’ who speaks to everyone through messages, like a friend who cares amongst the chaos of all the commotion. 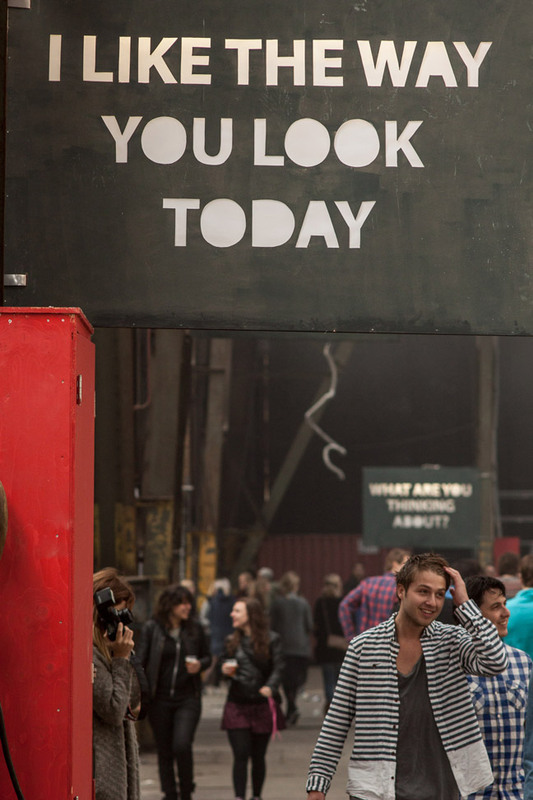 The concept design also inspired the style for other signs used by the event organizers. 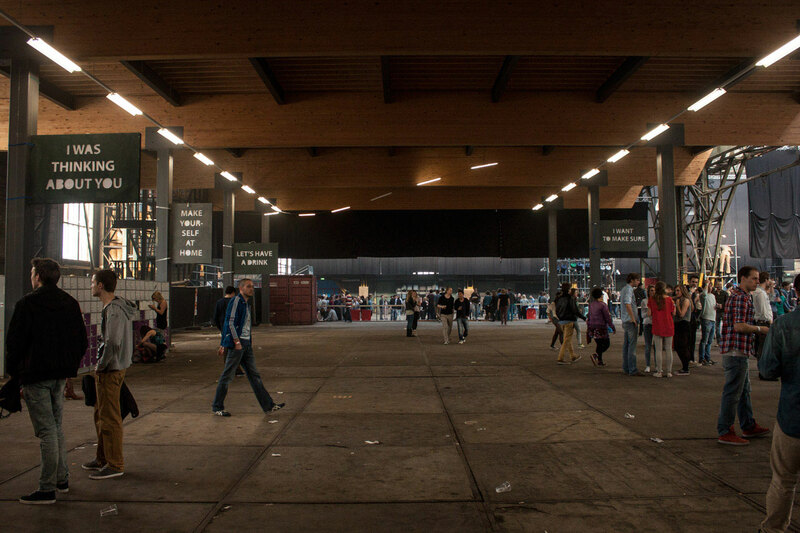 Not only were the signs meant to help visitors navigate throughout the large space, but also to welcome people attending the festival creating a friendly atmosphere.